Need a sturdy tripod for mounting on a difficult roof condition? Then look no further! This heavy-duty 5ft tall slope mount tripod is perfectly constructed to mount an antenna or satellite dish wherever you need - specifically on the peak or side of a sloped roof. 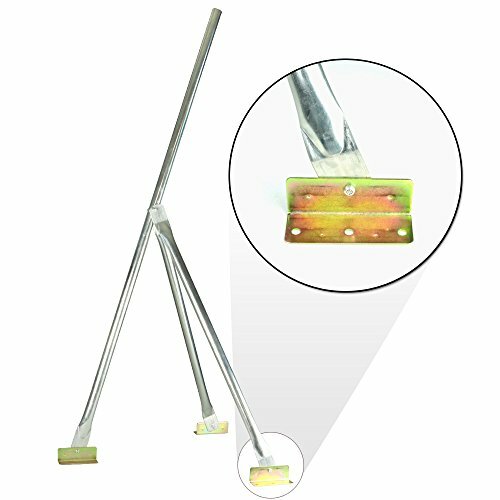 Each of the three tripod legs (the 5ft main mast leg and 3ft dual support legs) is crafted of 16 gauge galvanized steel and swiveling feet to hold the mast in place and prevent twisting due to wind or weather conditions. What's more, improved bolts and locking nuts ensure security.